MY system was not working and then was even worse after a service call I called because it did not work and told them I needed someone immediately because I would be gone for a month and was told... MY system was not working and then was even worse after a service call I called because it did not work and told them I needed someone immediately because I would be gone for a month and was told somewhat rudely that no one could come for at lease three weeks we did try some stuff on the phone that did not work so my house was unprotected for the whole time I was on vacation. When I returned a technician came over and fixed it in about two minutes by reprograming it. 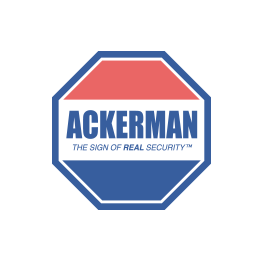 The lady that cares for my mother in law tripped the alarm and did not remember how to deactivate it so the police were called, fair enough , but neither my wife or I received a call from Ackerman. We had a series of alarms due to a faulty motion detector and when we called the office, the phone was not answered promptly and some times we just had to hang up. There is more but that is enough.